Fix or Fail – Can Coffee Grounds Fix Cellulite? 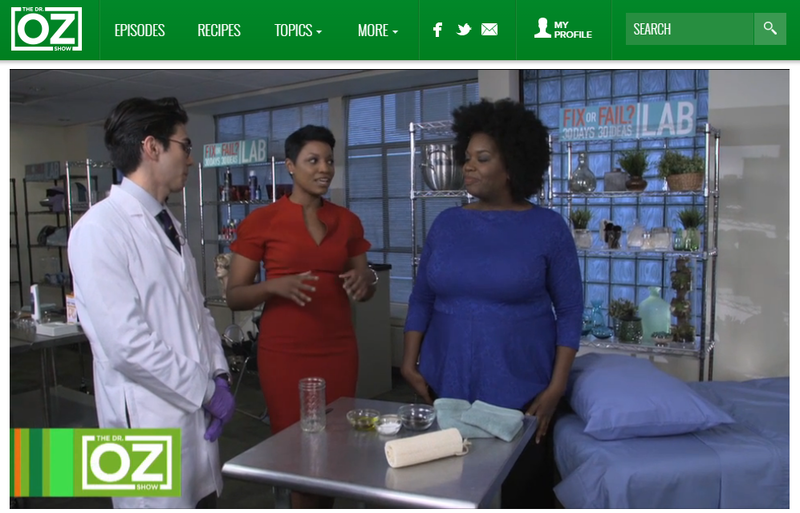 So no…LOL but here is what happened on the show…All this month Dr. Oz will be testing out DIY’s and home Remedies that an ordinary person might find on the internet to fix whatever problem they are having. As Dr. Oz’s brutally honest go to person for trying new ideas, I kicked off the month with the question of a Fix or Fail for pesky cellulite. Women and some men are always trying to figure out how to get rid of cellulite. I came across a particular remedy that included: Coffee grounds, sugar, and olive oil. Like I said, while it made my skin smooth, I used it for a week and it didn’t work so it was a fail. You can see why below. I did however win a real life fix with FDA approved, Cellfina. I haven’t tried it as of yet but stay tuned for when I do. 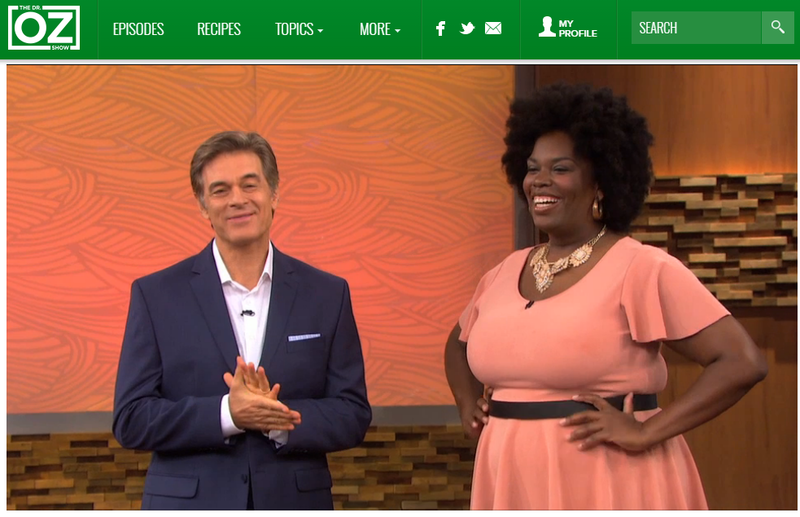 I had a blast with Dr. Oz and the Core Expert Tia Brown. Also a part of today’s Segment were other future colleagues, Shark Tank’s Lori Greiner, Professional Blogger Curly Nikki and Dr. Michael Roizen. Check out the rest of the segment below. Stay Tuned for more Rhenotha on the Dr. Oz Show. In the meantime here are some fun photos from the show. Going Vegan? Tune in to the Dr. Oz Show 1/26/2017 We’ll show you how! ← #HealthyFriends You can Beat the November Bulge! Here’s how! I’m watching the show and you never show the product, the spelling or where to find them. I’m sorry the reply is so late. The Name of the Product is called Celfina, it’s a non invasive technique. If you google it as Celfina, NY you can find some dermatologists that offer it.